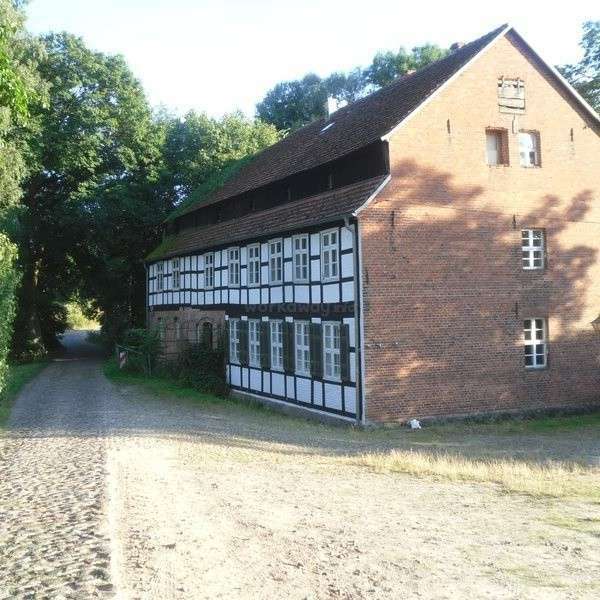 Hi we are Franz and Aimee and we are working at an old water mill with foundations from the 13th century (actual building maybe 16th century) to restore the main house and the outbuildings around it in order to start an ecological community mixed with a hackerspace. There are 4 people that live here permanently (one is elderly) and 2 people that are here long term. Some of us have remote work so time is limited sometimes to work around the property. In general we need help with keeping the buildings and the surroundings in good shape and also work on the projects we have ongoing. This place should be a safe and open place: no sexism, no racism, no stereotyping, no (religious) preaching. If you are looking for a quiet place in the country then this could be the perfect place for you. A great opportunity to learn about life in the country, how to maintain and restore old buildings, spend time in the lush green countryside. We speak mostly English as it is easier with a mix of people from all over the world. 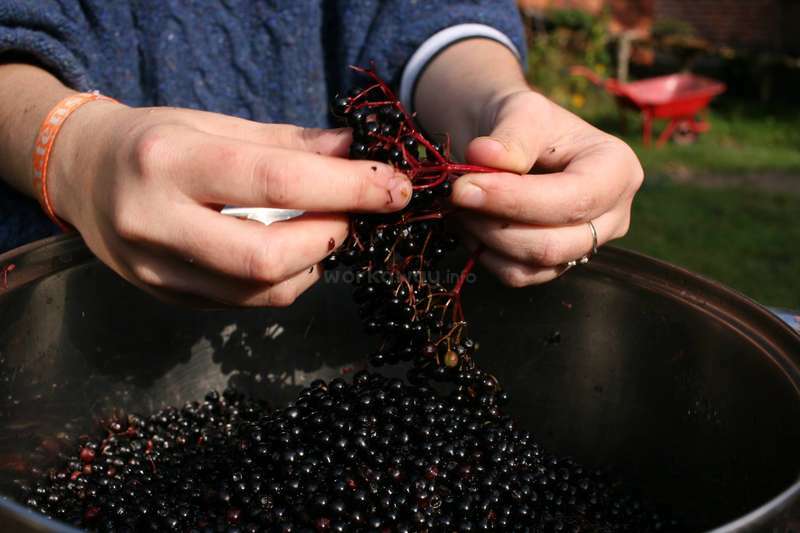 Learn about wild food foraging, food conservation, bread baking, event organising etc. At the moment we are focusing on restoration and self sustainability this includes tasks that require good physical fitness, we are looking for people who are not afraid of getting their hands dirty and getting involved in tasks such as cleaning, cutting trees, digging, building work, carpentry, restoration of furniture, harvesting, mowing, brick, making firewood, taking care of the house chores etc. We have 3 dogs, 5 chickens, 7 ducks and 3 cats. 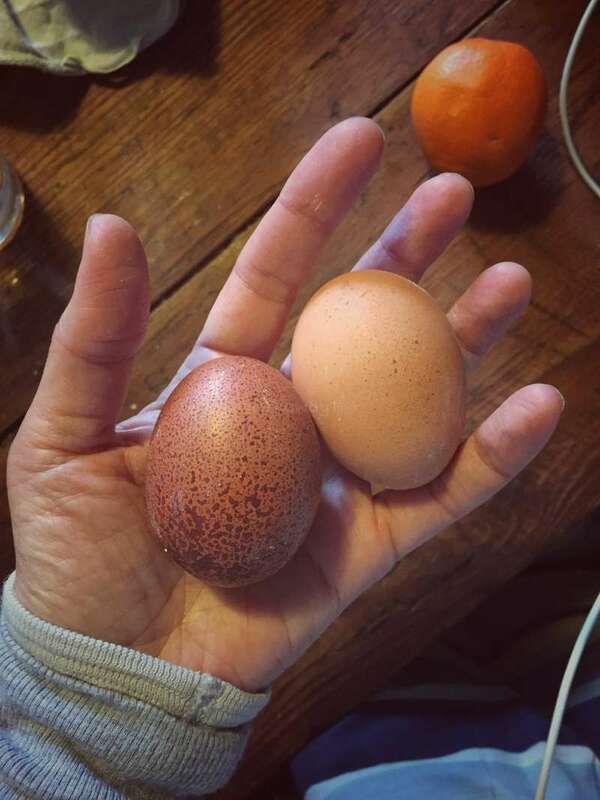 We are a working farm and we raise animals for eggs, produce and meat. If you are afraid of big dogs please consider this before you decide to contact us. If you are into DIY and want to create stuff, we have task for you too. But also if you like computer work we have already a lot to do: write documentation, here and there create social media content, programming for open source software we use, administration. Usually in this case the tasks are a mixture as we have to prioritise tasks according to the situation. In the warmer months we do quite a bit of construction work, there are many projects lined up to improve the place, in the winter we focus on maintenance inside the house, splitting wood etc. Occasionally as a community we also do work on nearby properties in order to support ourselves and the community, this may include manual labour and other physically demanding jobs. These days are rare but we like to be upfront about it. Shared rooms with shared bathroom (only one bathroom), we also have a big attic that we use when we have a lot of people over or you can borrow a tent from us. Hot solar showers outside in the summer - hot shower and bathtub inside in the winter. Very important: We are 3 km away from the next village, 7 km away from the next train station, 15km away from the next shop. Have that in mind when you plan to come here. But we will probably go shopping once a week. Countryside living is great if you like cycling, hiking, bird watching, if you fancy going to Berlin for the weekend it's about 2 hours to get to Berlin on the train. It was a pleasure to host Celia, she got on very well with everyone and did here tasks very well. Any host would be lucky to have her on the team. We wish her lots of luck in her travels and adventures. 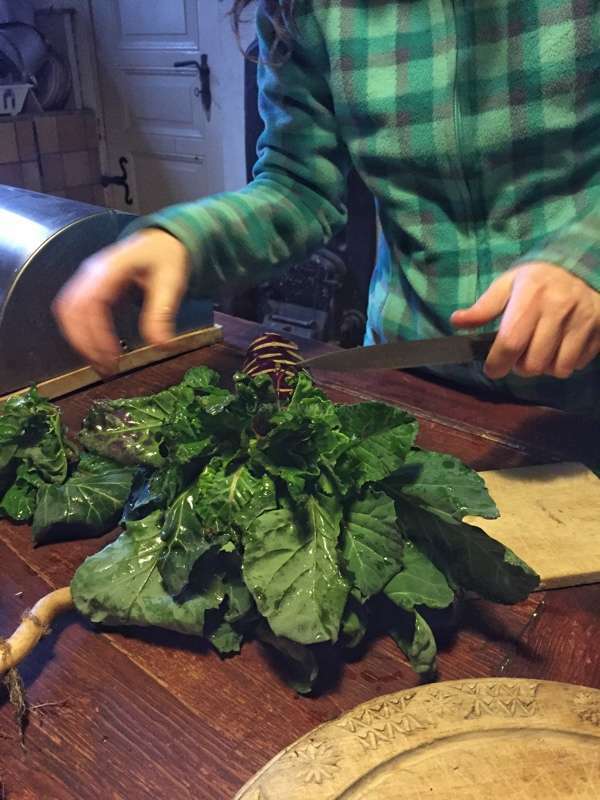 I stayed in Franz and Aimee's farm for a couple of weeks and I had a really nice time. 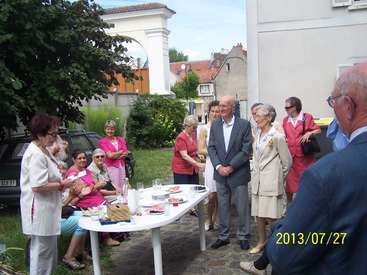 They are great hosts and having other volunteers around created a very welcoming community life. Their digital project management system is a great method to organize the work, and it allows you to be very flexible in your working hours and easily check the… read more details of your tasks and the amount of hours you have worked. Tip for future workawayers: get ready for some delicious food and crazy board games (you might want to start learning how to play Unstable Unicorns and Carcassone if you want to have a chance to win against Franz, he gets better and better with every game!). We loved the experience here, it was 5 amazing weeks that we spent in this place. We learn a lot about rural life, organic farming and sustainability. Franz and Aimee are lovely people and great hosts. They have patience and give you a lot of freedom to do the work. The Project is very organized, all the tasks that need to be executed are in a… read more system where all activities are well described. Luiz and Rebecca are great people, hosts would be more than lucky to have them. They cook great food, are dedicated to their work and know how to get on well with people. We couldn't have wished for better volunteers. I wish them luck in anything they decide to do and hope to see them again soon. Anna, is a nice person, she is happy to take on tasks as assigned to her and got on very well with everyone. Any host would be lucky to have her. This was my 1st workaway (and technically 2nd), I visited twice with a gap inbetween - don't be put off by visiting in winter just pack some warm clothes and this place will worm it's way into your heart with each day, guaranteed. Secondly the opportunities of this workaway I see as quite unique - due to the remote-ness of the location you are in contact with people for longer periods of time and you really get to know people (and their respective cultures) a lot better than you might when travelling normally. Scott is a great volunteer, he is flexible and hardworking and gets on well with everyone. Can't wait to have him back soon! I had a great time volunteering at Kuckuksmühle and would love to go back someday if my circumstances allow. Aimee and Franz are great hosts and will strive to accommodate your needs and make you feel at home. If you do your work and are respectful to others then you'll be more than welcome here. Thanks guys, best of luck for the future! Say hey… read more to Podha for me! Franz and Aimee are wonderful hosts always making sure you are comfortable with your work and rest. The work tasks are provided in an easy and managble online system. Tasks are allocated and prioritised and you record your hours, comments, progress etc. it makes it very easy to plan your work and play. The site is being restored but has some… read more wonderful history and therefore depending upon your skills there are many tasks inside and outside. There is a large vegetable garden that depending upon the season requires various tasks and maintenance. There are three lovely dogs, very excitable and friendly. But give them time to adjust to you particularly at night. Podah is half the size of a horse 🐎😁 but is a little temperamental until he trusts and recognises you so give him time because he really is a lovely dog. Dinner is always a communal affair and playing card games after dinner was really enjoyable. These games a speciality games not poker etc. David and Tanya are a great duo, they take on tasks without complaints and really immerse themselves within the group. Their work was excellent and they were a pleasure to have around. We hope they come back soon. Have fun travelling around the world! Primo is an excellent volunteer, he gets on with his work and works well both independently and as part of a team. It was a pleasure to meet him and we hope that he comes back soon. 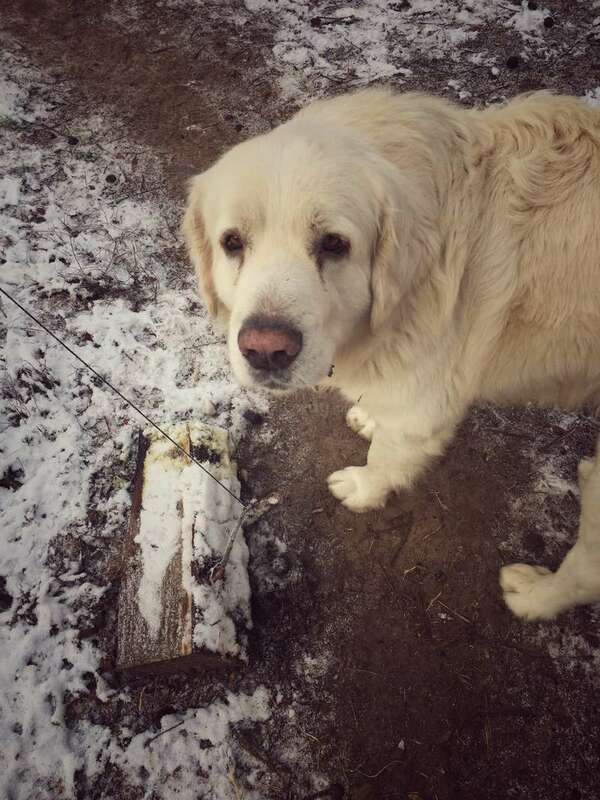 Yosh helped a lot with clearing up the wood from the forest after a storm we had here, he works best as part of a team. It was a pleasure to meet him and I hope he has a bright future ahead of him. James makes a great addition to any team, he is hard working and responsible. Any host would be lucky to have him. We enjoyed discussing the problems of the world and working in the garden. We had a positive experience. Robert, Aimee and Franz are young & nice members of this intriguing community, which is different from others for they have an interesting philosophy and ambitious ideas related to organic farming+computer stuff. Some of these ideas are really inspiring for whoever is interested in community living, networking and… read more sustainability. We could give more details about it but we don't want to spoil the fun :) There's however some warnings we'd like to give to whoever is interested in joining the Mill. In fact, like they say in the profile description, if you are scared of dogs it might not be the right place for you. The dogs here are very amiable but they can become aggressive with one another over the food, so sometimes it can be a bit stressful and caution is needed. There's also a lot of cleaning and tiding to do in the house so don't expect luxuries and order. Last but not least, you have to love countryside life with its ups and downs. Anyway, Franz and Aimee were very friendly with us and they were costantly making sure we had everything we need (food was super-abundant). They were definetely the kind of hosts we are happy to help! We will especially remember the cards game sessions of Unicorn, the walks in the forest alone or with the other volunteers, and the mornings spent collecting woods with their nice neighbours. It was a lot of fun! This place is MUSICIANS friendly too. Best wishes and hopefully see you soon for another visit! Lisanne and Roberto stayed with us a few days and it was a pleasure to host them. We wish them best of luck for their adventures around the world. It was nice to host Alex, he does his work without complaints and joined in our game nights every now and then. We wish him best of luck on his adventures, may you find what you are looking for. Franz is a great host and one of the friendliest guys you will ever meet. 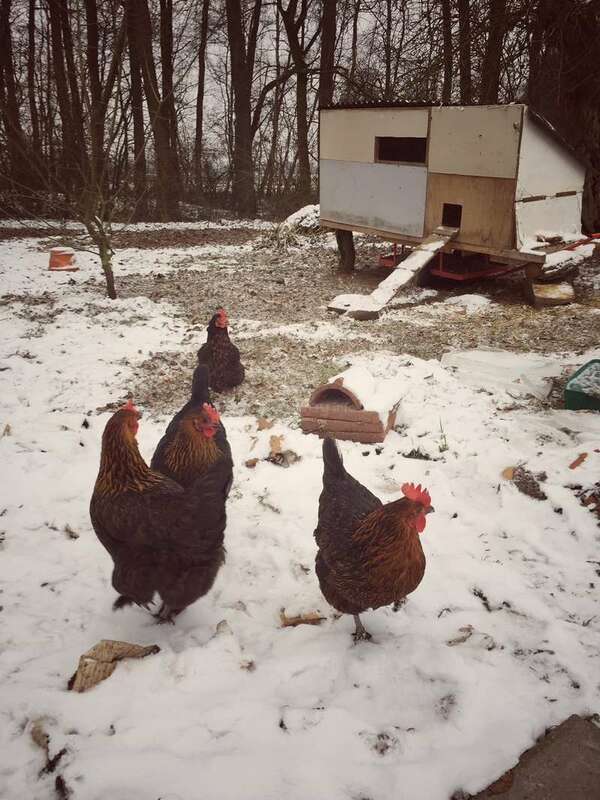 I stayed with them for a few weeks during the winter season. Needless to say it was cold... very cold. If you were unlucky enough to get the room with minimal heating then expect to sleep with your coat on. There is alot of work to be done at the mill but nothing that the… read more team can't handle. Overall i had a good experience there. We hosted Marco for a short while, he has a good sense of humour. I would say he would thrive in team tasks and working with others to achieve a common purpose. Alex and Natasha were great assets to our project, at the time when they were here we had a shortage of help and they didn't shy away from any tasks that we asked them to help with. They leave us with a reinforced kitchen table (much needed especially with the upcoming busy summer ahead) and the also much needed automated chicken door. They also… read more baked bread and took care of the house with its many daily chores. We wish them much luck on their travels, any host would be lucky to host them. I stayed at the mill for more than 3 weeks and it was amazing. Far beyond my expectations. The house is a live museum and people are super creative. Franz and Aimee are so open and welcoming and you feel at home from the moment you arrive at the place. I totally recommend it. Staying for three weeks in the house was a really nice experience, and it was great because it was my first workaway experience! Aimee and Franz are really kind and clever persons, and they take care of you, and the environnment in the house with them and the other volunteers is really good, and you can do a lot of diferent kind of tasks, and you… read more have a lot of freedom to go out and explore the countryside around! Mariano is kind, gentle and considerate. He does his work diligently without the need for supervision. He loves animals and our animals loved him and so did we :-) Best of luck for the future Mariano, I hope you come back to see us! Anna left our place after just one day, there was some kind of misunderstanding as she thought we were an animal farm. Unfortunately this meant that we had to find someone else to take here place at short notice. Apart from that she was a nice person. Johnny is friendly and personable, we had many great interesting discussions at the table. He is handy with woodwork and did lots of work around our place. It was a pleasure to meet him and we wish him all the best for his exciting plans for the future. Any host would be more than lucky to have him. We had a great experience with Andrey and Alena, they get stuck in the work, take initiative and can be trusted to work independently. They never complain and are good fun to be around. Any host would be lucky to host them. Hugo is independent and takes initiative wherever he sees a job he does it, he was a great contribution to our community and of course you are welcome back :-) All the best for your travels. We loved Carolina, amazing sense of humor and good fun to be around. Elderberry juice couldn't have happened without her... haha I am sure she will remember that for a while. We wish you all the best for your future travels and you are welcome back of course. Enjoy life! Chiara is quiet and independent, she contributed well with all the tasks assigned to her and we enjoyed her company. I wish you all the best for the future :-) We hope to see you again! Oh the tranquil mill:) my month there was a coooool experience. 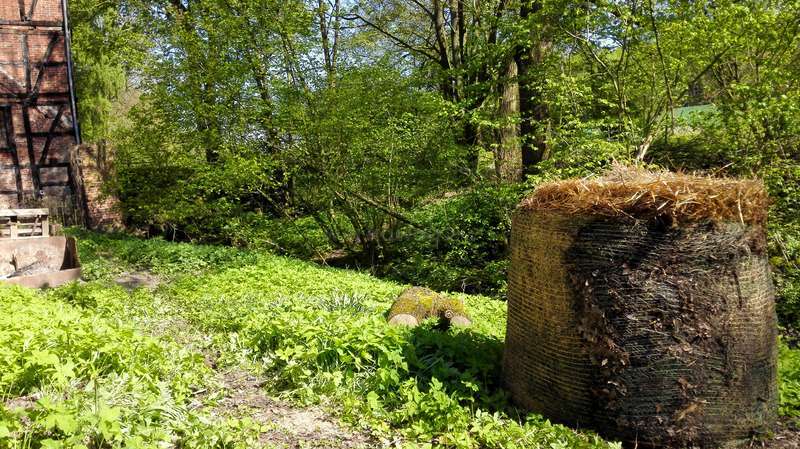 The recollection of mushrooms in the chill forest of north Germany, the all together cooking time and the sharing of alternative life experiences are my highlights of this volunteering. The project is really well organized and you can really feel the goal and passion that they have… read more set in it. You can help them to reach it as much as you want. Thanks, Aimee, Franz, Petteri, Robert (bonito, pariente!) & Gert for the once in a life experience and for reminding me that in our actions the future lies. Nos vemos! I had an awesome time in the mill, having other workawayers in the house was awesome since you always had someone to talk to and get new experience. If you like the outdoors and living in community this place will be perfect for you. As for the work a lot of times we worked in a big group which was great, and the other hours you could chosse what… read more project you would like to work on. There are several small projects around the mill, and some other larger that could take a couple of days. Im definately looking forward to go back to the mill in the future. Wish you all the best on your travel and have fun. Yoshi was a pleasure to meet you and we wish you well on your travels and hope that you come back soon. Yoshi did all the work with a smile on his face and amongst many tasks made a lasting impact by making a beautiful fence for the yard. Any host would be lucky to meet him. Lucas was great, he took responsibility for his tasks and did everything that was asked of him. It was a pleasure to meet you and we hope that you come back to see us soon. Any host would be lucky to have him. My friend and I have just spent two wonderful weeks with Franz and Aimee (and Gert, Simon and Potter the dog) at the Mill. I cant say enough what a wonderful place it is. We had such a peaceful time, really left to decide what things we would like to work on and then just work though the projects at our own pace. We will have such nice memories of… read more the Mill, of baking and picking wild raspberries, of our trip to the lake, watching movies in the hackcentre, dinners with everyone, interesting conversations and just feeling so comfortable and peaceful there. It is such a beautiful and inspiring project, best of luck with everything. We will miss you all! Hope to see you again some day! It was such a pleasure to meet you Florent, I hope you are doing well and that you come to visit us soon. Any host would be more than lucky to have Florent, he did some really intricate work and made a huge impact to our life by making an automated chicken door :-) amongst other things. Florent is thoughtful, kind and a pleasure to be around. We've spent a beautiful experience learning many new things for us such as recycling and crops. The ecological project is very interesting and the activities were outdoors enjoying nature. Franz is loving, friendly and relaxed. We've had a lot of flexibility to do the work and also are organized in a web platform. You can also propose tasks if you… read more wish since he is totally open to new suggestions that help improve the project. Every night after dinner we relaxed playing games, laughing and sometimes having a beer too. It was very funny! 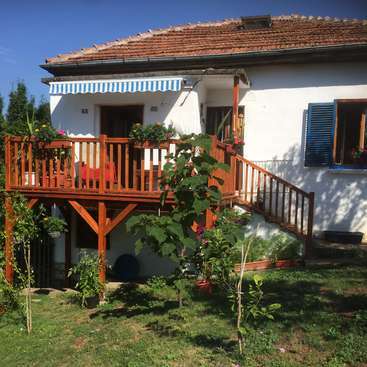 The house is located in a beautiful village with other wonderful places to discover, so you can ride a bike and enjoy the incredible landscapes. We highly recommend it for you! Thanks you for hosting us Franz!!! Hope you see again! Dear Franz and my dear lovely friends! We hope your project can run well and success! You guys are sooooo greattttt!! WE LOVE ALL OF YOU! 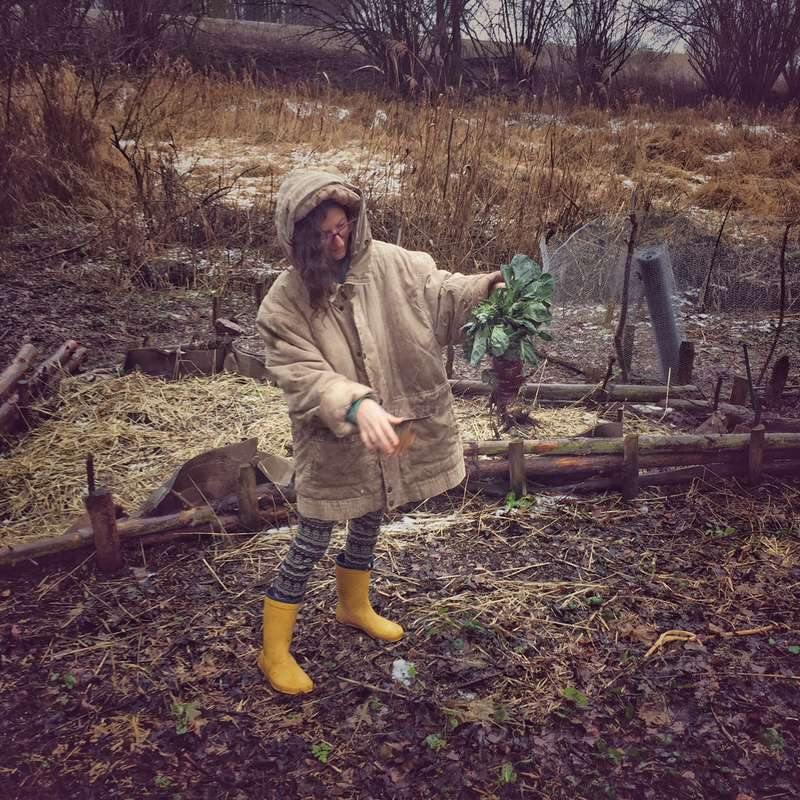 Saraa helped us with her friend Saraa well in the garden, harvested nettles, cooked with us and began to make a short film for us about our work. They are friendly, open, mindful and kind. Even if they were here only for a short time, they are welcome to come back and help us again. He is always welcome here and I recommend him to everyone who needs help and support. We wish you a lot of excitement and… read more nice experiences in your life. Joe is a nice and friendly person who like to help he works together on a task and also independently. He helped here a lot and we had a lot of fun together. They like to improve the place and bring in new ideas. We found in Antonios a wonderful open minded, supporting friend and if he likes to stay with you longer, he will help with everything and everywhere where he is needed. He will work independent or with people together and the result will be completely satisfying. This is a beautiful home-project with good people and freedom ,were you can have fun, learn, and be productive and creative. The tasks are described with detail on the web, the workshop is well equipped, and depending on your skills and personality you can always find something to give your energy to. You will meet Franz and Aimee who are lovely… read more and interesting, Gert is a icon figure, Pohda a sweetheart, and the many friends who visit are all nice and open people . For me it was great being there, I learned many stuff, about crafts and ways of living and feeliing, giving and receiving.. and I hope and wish to come back . Thanks for everything guys..see you later. Antoine is a wonderful loving guy and I learned to love him too. The time with him was intensely positive and we accomplished a lot, had great meals and evenings together and if you search for a guy to talk about everything, you will find it in him. I will never forget the time he spent here and I hope our ways cross soon again. :) I miss him so… read more much. I really enjoyed my 3 months at Franz's place. It was my first workaway experience and to be honest I didn't expect it to be this inspiring. Franz is a lovely person, friendly and open-minded, and he's very concerned about how workawayers are feeling in the mill. I found it was also a great opportunity to be part of an exciting project. There are… read more so many different things to do it is impossible to get bored, and being able to work independently on such a wide variety of tasks was really enjoyable (even if it does take a few days to get used to this way of working). Also, Franz is always open to ideas coming from the workawayers, so it really felt like we were a part of the adventure. And last but not least, i had the chance to meet wonderful people during these 3 months : Franz of course, but also his friends and the other workawayers. We've had passionate debates, chilled out billiard sessions, reaaaally intense skat sessions, and just a lot of fun in general. Oh and the outside shower is THE BEST !! Melanie is a very helpful, handy, organized and friendly person. We enjoyed the time with her here a lot and I would recommend her anytime to other places. I hope you find your way to the south and hopefully come back some day. :) You are very welcome to visit us again. This was my first workaway experience and I was so curious of what awaits me there. My welcome was so warm and friendly that after 2 hours I already felt like I've been friends to Franz for a long time. Seeing things changing and the… read more development the projects make me kind of satisfied. It needs a lot of stuff to be done, so everybody can find something that suits on their skills. I am so curious how this place will develop and I will definitely come back, either for work or just to see what changed. Because this place and the people who live there are just wonderful. And I am so curious how its gonna be in the summer. Marie is a very nice Person and she can do amazing stuff. From working on multiple tasks at once to playing really good piano and making nice portraits. We really enjoyed the time with her and would host her anytime again. Not to overuse superlatives, it is an amazing spot in the middle of nowhere, a microcosmos with a far horizon, forests, fields, a village nearby, a tremendous sky at night, but also the modern technology applied around. If only you are open-minded and not too apathetic, it will be next to impossible not to enjoy this place. Whether you want to… read more learn new things, apply your brain to matter, play with the dog, eat a good dish, flex your muscles and sweat, opportunities to exercise in all of these and more await you here. It's also a good place to relax, listen to music, or get your head sorted. There's the social side of it as well. Beside the hosts, you most likely will get a chance of meeting other workawayers, the locals and other people related to this household. Something for free spirits. We spend two weeks in this nice enourmous old house, with Franz and his father. Our experience was really great, was easy to get into they way of working. We shared food payed table games billboard or listened to music in our free time. His dog Podha is really lovely, he loves long walks and to be pet. There are a lot of task of different… read more things just choose the one that fits you. A wonderful couple and wonderful people as their own. I loved that they worked independently, as team and always a surprising and very satisfying result. Also they a very clean and kept the place in order. You are always… read more welcome to come back. It was so nice to have Clark here. He was a big help and he was very motivated, very handy and likes to keep the place clean and in order too. He was friendly with all workawayers and all members and visitors and his guitar play sounds really nice. He has a lot to tell and wants to learn a lot more. he is always welcome to come back and I would… read more suggest him to any other project who needs help. I had the pleasure to share 2 weeks with Franz and his father in this peaceful place. He is a nice and open mind guy that recive volunteers pretty well in his house. There is several tasks to be done and you can just search and do what fits with your knowledge and motivation. We were succsefull to start to design and build up the fences for the… read more garden, chop and stock more wood for the winter time and daily work as cooking together, making the compost, cleaning the place and being aware of what is important to be done and extra work that can appear on the way. It's a old house so the architecture is pretty fantastic. 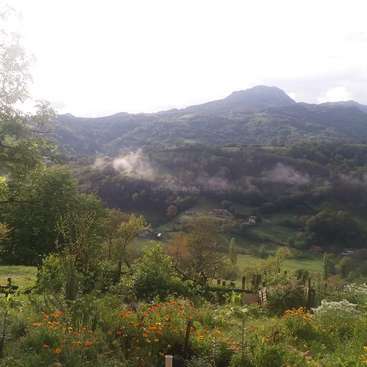 Who likes to be in touch with the nature, work in a farm, in a peaceful place and enjoy good companies I would recommend Franz place without doubts! I wish All the best to the project! Joe and Georgia are nice, friendly people who like to help and working together on a task independently. They helped here a lot and we had a lot of fun together. They like to improve the place and bring in new ideas. We stayed at the mill for almost a month and really enjoyed our experience. We enjoyed cooking food, walking potter, fixing chairs, building things and many other random tasks. It took a few days for us to settle in but once we had we got to know franz and his father and we really felt apart of something and we thank franz for… read more having us and his generosity. 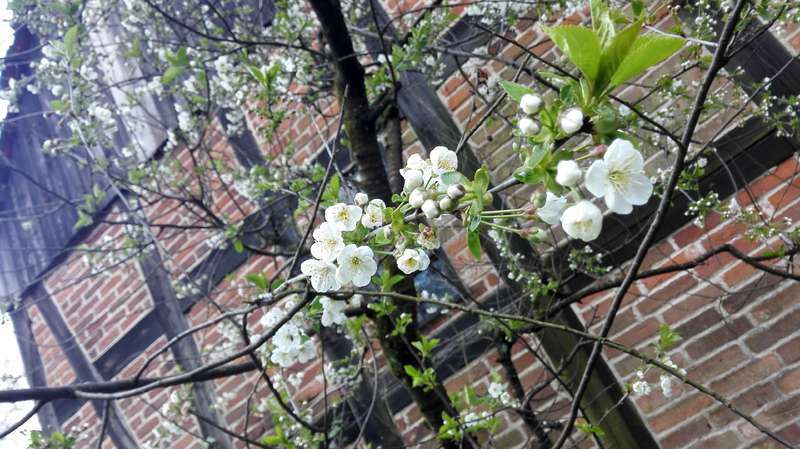 We will definitely be back in the summer as the area is so nice to walk around due to the beautiful and quiet surroundings. Franz treats you as an equal and is always looking for people to motivate themselves with anything they think can help with the mill. As well as work we enjoyed playing games and talking about life with Franz and his father. Sam is a really nice guy, helping out everywhere, he is really friendly, likes to solve problems and learns new skills fast. We enjoyed it very much to have him here and that we will have him soon in our sibling project. I highly recommend him for any other project. Franz creates a very pleasant and peaceful atmosphere at the mill. He is generous, quiet and thoughtful. The work is great for self motivated people who like to plan their own day and work at their own pace. We made some delicious meals to share each evening, played games together and enjoyed long and deep conversations. After staying only 10 days… read more I felt very close to Franz and the other workawayers, I wish I could have stayed longer! Franz is a very friendly and peaceful person. 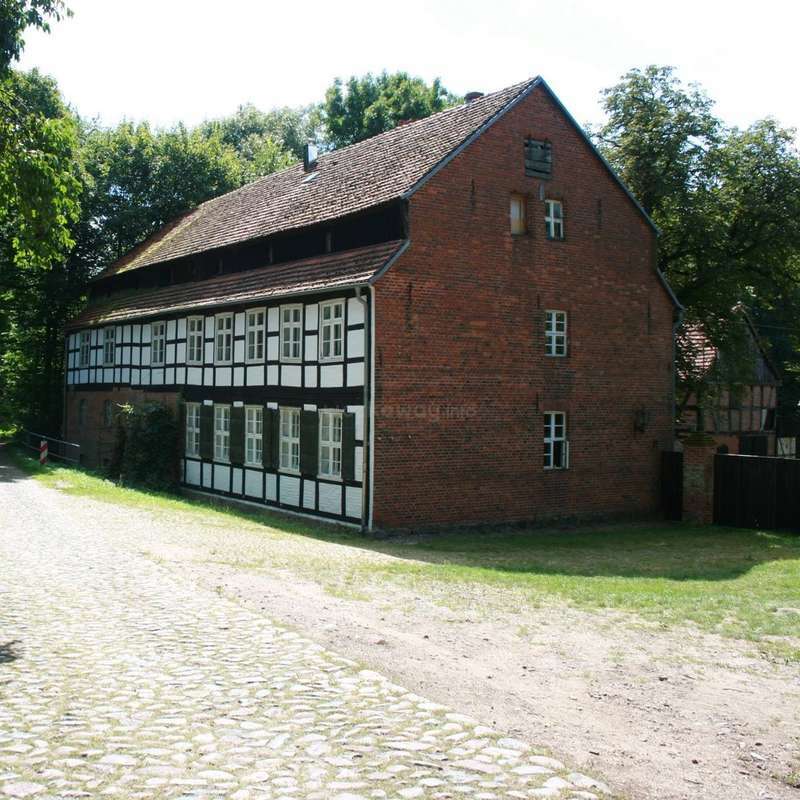 The historical mill is amazing, as well as the countryside with fields and forests. Dimitrij is a nice person, quite and hesitant at first but after some time he gets more open. He helped quite well and was pretty interested in the garden work. I would suggest him to any other project as well. It was a pleasure visiting Franz and his father, and other workaway-ers during this autumn in his historic house. Unfortunately I wasn't able to stay longer, but all the days that i stayed, were very productive and fun. I liked Franz'es ideas about making there this open space for travellers and friends, also his open-mindedness towards other… read more ideas that might not be so necessary to do now but are just cool. We had much fun playing bar-billiard and taking 2 sauna sessions, i also enjoyed cooking together and inventing every time what to cook next. The nature there is very beautiful - we had a nice mushroom picking adventure there. This was my first workaway project and it was awesome. Hope to go back there next year and see what has changed. Such a lovely person who wants to help and does that excellent. She thinks before she does stuff and is a nice person to talk to. She is open and an open minded person. I would recommend her to everyone and would like that she'll come back one time (or you both). Excellent nice guy, who wants to work and is eager to learn and do stuff with people and at his own. He is a wonderful person and I hope we see each other again. It was a great time having him here and he helped a lot with hard work. Artsy stuff and supported everyone who needed help with something. Laura is such a lovely person helps a lot and fitted quite good into our project. I can only suggest her to any other project with my best regards. I would host her any time again and hopefully we see each other again soon. It's been a while since I left the mill and due to my expired account it took me a while, but I definitely want to give my feedback to this project since I had a great time there. This place has such a nice atmosphere and everybody is really friendly there, during the time I was there I got to meet a lot of really nice people who even helped me… read more when I was in Berlin few days after. There was always something going on and I enjoyed sharing the meal preparation, It was fun! The surroundings are beautiful as well. I really miss the place and hope to be back one day. He received me at his house super nicely and opened, it was my first workaway experience, and I enjoyed it a lot! Every night was the time to join all the people in the table for a dinner, from preparation till the eat time, sometimes someone cooked alone, sometimes all together and so on. I could live together with many other workawayers during my stay there, since I stayed 7 weeks.. I would like to say that I am so Thankful to you Franz, your father and also potter, to accept me at your house and even more to provide the opportunity in introduce myself to the daily German life style. I wish all best energies and vibrations for you always...! Very nice and friendly person. We needed a little time to get along but after we talked about misunderstandings or misinterpretations we came along very well. Very good workawayer. Independent, communicative, critical, artsy, fast learner, handy, clean, good cook ... . Everything you want for your project in a volunteer. I wish him all the best and a lot more adventures on his trip and in the future. Kuimars is a nice and very friendly person. He wants to help and did the work we gave him. I would have liked more questions why he is doing stuff so that he could understand, what and why he is doing stuff. And a little bit more openness about his thinking process to understand him better. I was searching something far away the city stuff, and I founded it in Heiligengrabe. 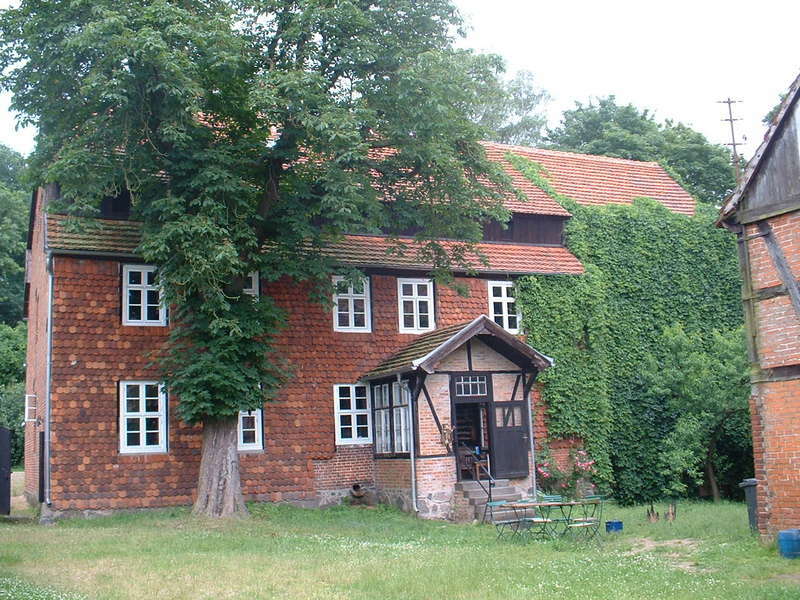 This old farm-mill is a very nice place, in the middle of the forest and the field. Even you can see the local fauna very closely. Franz and his father are very nice people. Franz is working constantly to improve the place and the tasks. But the most important… read more thing is that the project is based in a noble cause. It's very worthy. Thanks a lot for hosting me Franz. Hope to see you again. Very nice person. Intelligent, critical, handy and very helpful. Can work independent but likes to work in teams also. He was very helpful and I was very satisfied with what he did. He is always welcome to visit us here again. :) We had a nice time. Best workaway experience I ever had. 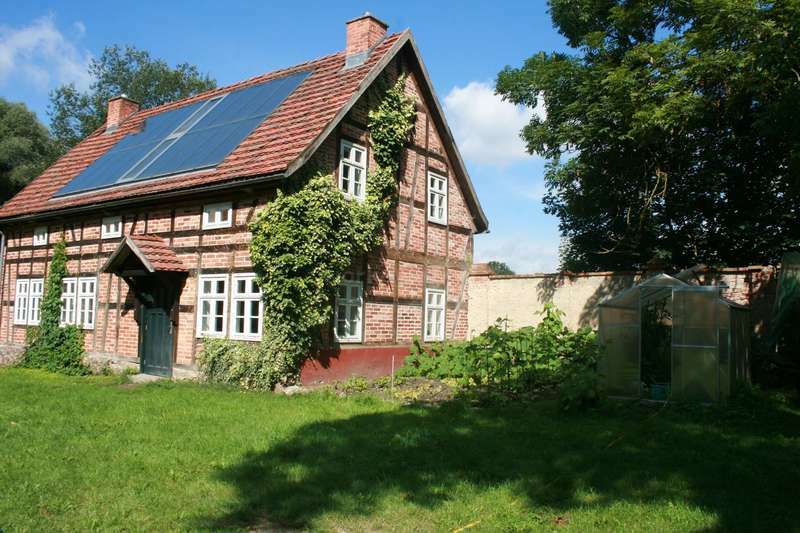 Franz is a person full of new ideas and projects for his eco-farm. He knows exactly what he wants to accomplish, but he is an easygoing person and allows improvisation and personal creativity. If you like working independently and would like to unleash your technical creativity, Heiligengrabe is the perfect… read more place for it. Besides work, it is the perfect environment to relax, as you hear almost nothing but the sound of nature. Moreover, Franz is, probably, one of the kindest people in Heiligengrabe area. He is a great guy, easy to talk to. Once again, if you want to do some creative work and enjoy an absolutely relaxing time in the woods, I highly recommend it for you. Wonderful nice person how likes to help with everything. Helped with us with a lot of stuff. Documentation, cutting trees, household and more. I would invite her again any time. Wonderful friendly and nice person who knows fast which work has to be done. I liked her here and she helped a lot with gardening, preparing meals and cleaning. Franz is one of the greatest guys I've ever met and I truly felt welcome and comfortable from the moment I arrived. (And I arrived sweaty and smelly on a bike near midnight) I was here for a total of roughly two weeks and I thoroughly enjoyed all of it. Franz seems to treat you from the get go more like a… read more friend than a worker. He's warm, kind and very open and we were always having interesting conversations getting to know each other and exchanging cultural information, like sayings in our respective languages. The House itself is a large Mill (now unused) with a decent amount of land around it. It is located in a beautifully picturesque area with no other houses for roughly a kilometre in either direction. 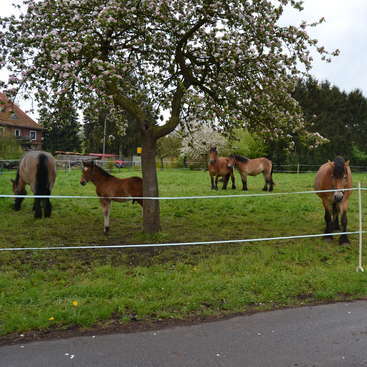 Perfect if you want to experience North German countryside! Franz has a great and clear idea of what he wants to achieve here and at the same time is happy to trust you to identify and get on with your own tasks that will contribute to this vision. The main tasks are setting up a small eco-farm to supply the mill with homegrown fresh produce and setting up a hacker space. So whether you're a green-thumbed outdoors(wo)man or a tech toting cable enthusiast, there's something here for everyone! Anyway thanks Franz for the amazing time I had here, I'll undoubtedly be back for more friend and fun times! Honestly can't recommend this workaway enough. It's chilled out, interesting and friendly beyond all measure. He works hard, efficient, is pretty handy, reliable and can work independently. He works really good, independently, is handy and is very useful. He was eager to do stuff and always helpful. He learned really quick to work with the project management system we use and did a lot of stuff outside like repairing the chicken coop, mawing, tidy things up. He was tidy, but he forgot sometimes to bring the tools back (really the… read more ONLY thing I had to remind him). Franz is great. He's super chilled out and I feel like I made a new friend, as well as having fun and learning new skills. There's a lot of stuff to be done, so you can definitely find something that suits your skillset. You can also set your own timetable as long as the work gets done, so it's a good place for people who are independent… read more thinkers/workers. I was super sad to leave and will 100% be making my way back when I have time. 10/10 would recommend to a friend - I'll see you soooooon. It was so nice to meet Tasha and she has a good common sense and works hard and steady. It's nice to hear her stories and I was always fully satisfied with her work. She can work for her own and does it pretty good even when she is not so used to that kind of work. She is also a good person to share a house with because she sees the little… read more things that have to be done, so everyone enjoys the household.